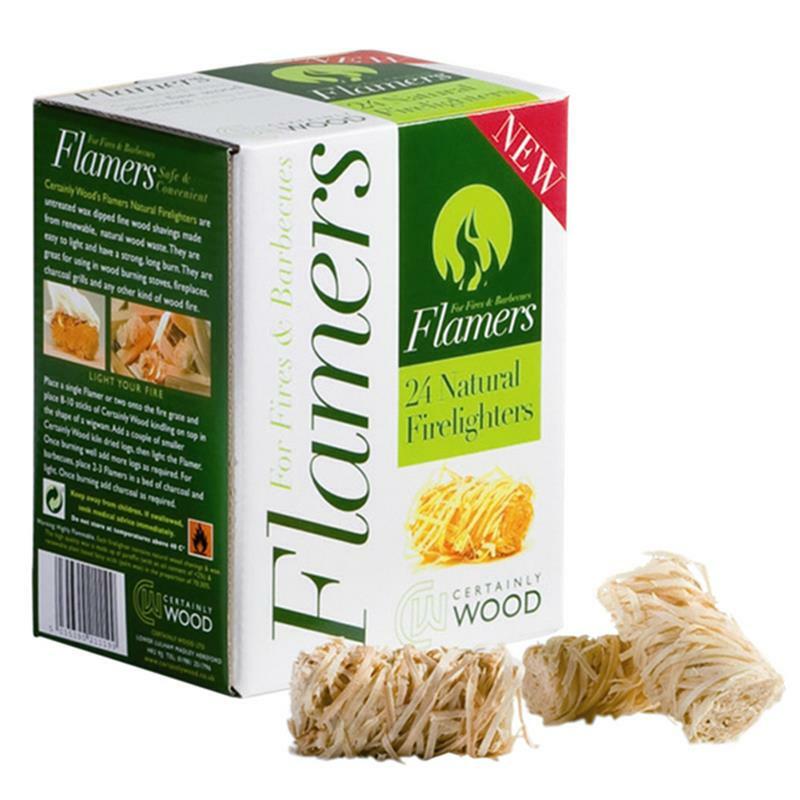 Certainly Wood Flamers Natural Firelighters - Box of 24. Certainly Wood Flamers are made from untreated wax dipped fine wood shavings made from renewable, natural wood waste. Easy to light and have a strong, long burn and are great for using in wood burning stoves, fireplaces, charcoal grills and any other kind of wood fire.